Come and enter the Haunted Opera for an adventure you will never forget! Haunted Opera will have you enjoying the sweetest payouts and prizes. Haunted Opera also offers a Free Game Feature that will make you win some serious cash without spending a dime. Haunted Opera is a five reel slot machine loaded with great prizes, free game rounds and a huge Progressive Jackpot. Play Haunted Opera now! Haunted Opera slot machine is played at a maximum 25 lines and a max bet per line of $5. You may spin the reels by simply pressing the Spin button or you can have the game spin the reels for you by using the Autoplay feature. The "Mask" will serve as a wild symbol substituting for any other symbol in a winning combination except scattered "Letter". Prizes are doubled every time they occur in a winning combination. Scatter letters appearing on reels 1 and 5 will award 5 free games during which prizes are tripled. Every "Mask" appearing in a winning combination during free prizes will be multiplied 6x!. Haunted Opera's Progressive Jackpot is triggered totally at random, regardless of the amount wagered. Be prepared to play for a longer span of time. To be able to see results while playing any slot machines you have to play for a long period of time. Knowing when to stop can make the difference between having a great time and losing lots of money. Substitute: the substitute icon serves as a wild symbol substituting for any other symbol in a winning combination except scatters. Scatter: three or more scattered symbols appearing anywhere will trigger the Bonus Feature. 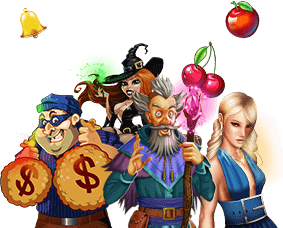 Progressive Jackpot: the Progressive Jackpot is triggered totally at random regardless of the amount wagered.